You see a running theme here? Gonna keep banging on it til Burning Life is over and y’all have visited! I really enjoy Burning Life because it gives me a chance to mix up my wardrobe and dress up and do some wild things. This is the sweet, unpainted, unparticled side of me. Here you see me at Damanios Thetan’s Burning Life Temple build, an incredibly gorgeous place that I hope finds a home when BL is over. I started with a skirt from LeeZu Baxter and a top from Julia Soothsayer. I will admit I got this particular combo from my friend Cali Rahal, who has scoured the grid for coordinating and hot-looking outfits. I added a cute sash from Khea Karas to complete the sort of updated earth mother look I was after. I don’t show enough dust on the hem of the skirt—pretend it’s there. 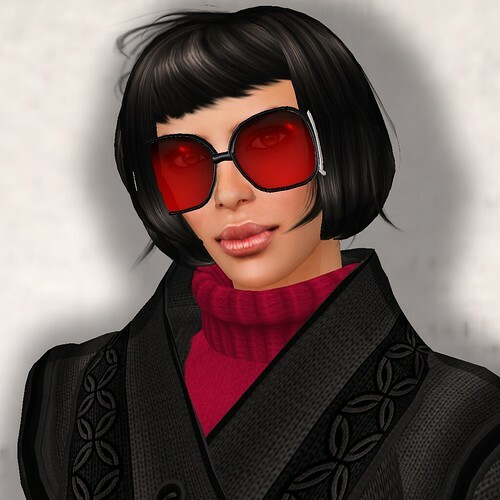 Written while dancing salsa to horacios Allen and Winters Kanto at Burning Life Tokyo Stage. Burning Life has started this year to much acclaim and cheering. I have to hand it to the organizers I know—Talia Tokugawa, Doctor Gascoigne, White Lebed, Dusty Linden, Calamity Hathaway, and all those Rangers. They have been working HARD to bring Burning Life to you—most of it volunteer time. If you knew the background of some of these folks, you would know the best have been working for you. That being said, I try to attend BL in the spirit of Burning Man, so I *try* to keep my stilettos at home (cuz walking the playa in stilettos seems sort of silly, no?). 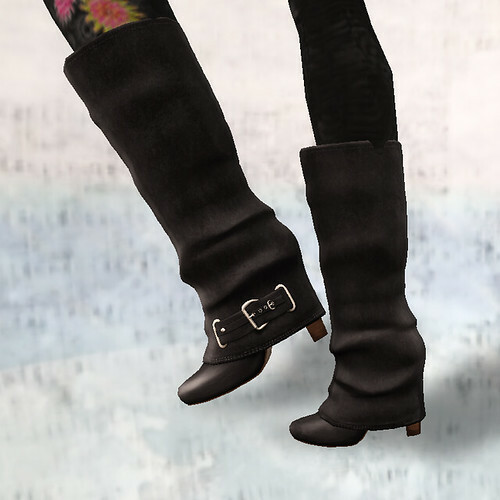 So you see I am wearing shorts from AvaGardner Kungler, a vest from Emery (part of a larger outfit I bought), the all important socks with boots, these from Kaejo DeSilva and my very favorite boots from Fallingwater Cellardoor. And Fallingwater also made the pretty bangles. 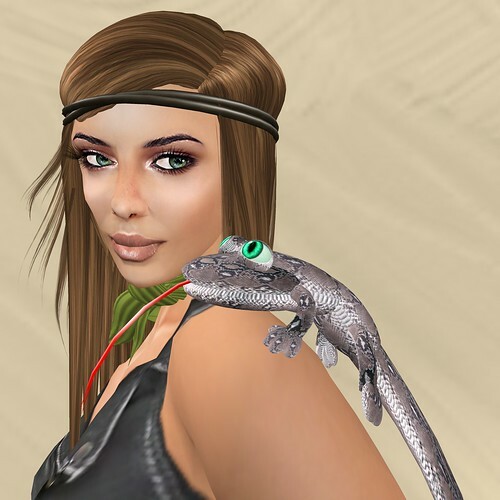 The best part of the outfit, of course, is the BL Lizard, made by MenuBar Memorial for last year’s Burning Life. Thanks again, MenuBar. This little gem does everything but the kitchen sink, including smoking a pipe and drinking from a plastic cup. Written at Berlin Stage while thomtrance Otoole cleansed my ears and mind with his amazing Psy Goa Trance. Be cleansed at Organica.